Regular readers of what has become an irregular blog will know that 2018 was not exactly smooth sailing for CM and I. This selfie was taken after I returned from overseas and while we were going through a very difficult adjustment in our companionship. When he first viewed my drawing taken from the original photograph (below), he commented that he didn’t know if what he was seeing was my pleasure or pain. Which is pretty much what I was trying to get across about my feelings. Note: the song is about domestic violence but this is certainly not an issue between us. 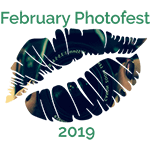 FebPhotoFest2019 No. 1. Slippery When Wet. This entry was posted in FebruaryPhotoFest2019 and tagged #FebruaryPhotoFest2019, Art, BadHareArt, drawing, pleasure & pain. Bookmark the permalink. Wow, Indie, that drawing is stunning! It brings across your emotions so well.